Talentadong Pinoy 2014 champion Neil Rey Garcia Llanes auditioned for "Asia's Got Talent" during the reality show's 4th episode which aired on AXN Thursday night, April 2, 2015. 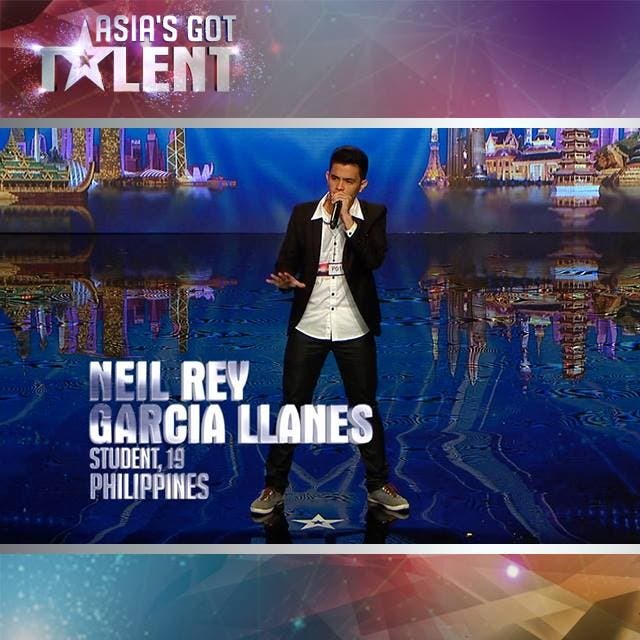 Compared to what Neil did during the grand finals of Telentadong Pinoy 2014 which was super awesome, he just gave the judges of “Asia’s Got Talent” a taste of his beatboxing prowess by just letting them hear 5 sounds from what he can create with his mouth. Actually he can do 15 sounds and I think he’s reserving it for the semi-finals. Despite not giving his all, Neil received a standing ovation from Vaness and Melanie C.
Neil makes it to the call-backs. 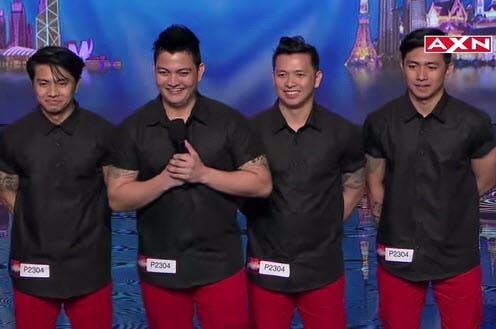 Asia’s Got Talent is brought to you in part by Tune Hotels. Pamela should join, and sings Vhong Navarro’s Pamela One!